Movie fight scenes can make or break an action film and can be harder - and more dangerous - to choreograph than an elaborate dance. So much work goes into making the perfect movie fight, but if it's done well, you'll never even notice. When you think about the best action movies you think about the fights, and with so many unforgettable movie fights in the history of cinema, it can be pretty hard to pick your favourite. That's where we come in. We've watched all the movies ever made*, and chosen the 50 best movie fight scenes of all time. To be honest, it was tough, and there are plenty we could include here, but we had to limit it to one fight per film otherwise the list would have been a lot longer. And, as a bonus, we've spoken exclusively to the star of our best ever fight about his role in that epic battle. Click through to page 5 to find out who that is and what made the fight so brutal. *Maybe not all of them, but loads, ok? The fight: Setting up the plot (and tone), this opening scene sees a bath-robed Comedian get attacked in his apartment by a shadowy assailant. It's a thumping tussle with absolutely no regard given to the Comedian's furniture. Killer move: The finishing touch - the battered Comedian is hurled through his window to the tune of slow motion shattered glass and falls to his death, smiley face badge an' all. The fight: After setting off a chain reaction that is ultimately destroying Starkiller base, Finn and Rey are fleeing back to the Falcon, when they're confronted by Kylo Ren. 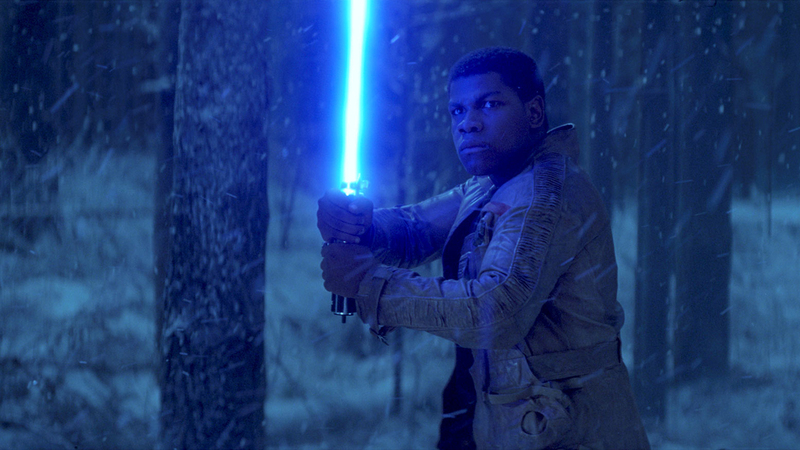 A desperate struggle in the forest kicks off, and Finn - who isn't even Force sensitive - has a go with a lightsaber. Killer move: Rey finally unlocks her Force potential and repels one of Ren's final attacks, leaving him staggered but before she can finish him off... a chasm appears between the pair, saving the moody Sith to fight another day. The fight: The blind Mei is ambushed in the middle of the bamboo forest and, while she valiantly defends herself against her attacker, she clearly needs help. Luckily, lone warrior Wind is at hand to save her. Killer move: With one wooden spear thrown towards Mei from afar, Wind sees it just in time and throws his sword toward her too. With a split-second reaction played out in slow-mo, we see Mei step back just as the sword split the spear in two, with both ends flying safely away. The fight: So many to choose from in this film, but were opting for the showdown between the Warriors and the Baseball Furies. When the sports-themed thugs chase down our anti-heroes, they are come to blows in Riverside Park, with the Warriors Ajax and Swan more than making up for the shortfall in numbers. Killer move: Having managed to win themselves a couple of their opponents bats, the two gangs engage in down and dirty thumps around the head and gut punches. The fight: Less a fight and more a small-scale war, this is one of the early battles between King Leonidas' 300 warriors and Xerxes' soldiers. Shown mostly in slow motion you really appreciate every move, blow, and shot the fighters make. Killer move: The moment when the 300 steel themselves with their shields and push the remaining Persians off the edge of the cliff. The fight: An incredible display of acrobatic ballet-fighting, as the heroic Yu Shu Lien (Michelle Yeoh) clashes with Jen Yu (Zhang Ziyi), all while Lien continues to trade up her weapons, using a huge variety of blades at her disposal, to battle against Yu's Green Destiny sword. Killer move: The two martial artists pause to talk a little smack before Yu offers Lien a chance to choose any weapon from the display around her. It only takes a second, but Lien returns with a huge broadsword and the two launch into another bout of whirling blades and swinging limbs. The fight: Having vanquished all of Ramona's previous exes, theres only evil kingpin Gideon Graves left for Scott to defeat. Cue an epic sword fight filled with awesome special effects and nifty lens flare. Killer move: To start the fight, Scott declare his love for Ramona, earning himself a love power-up and allowing him to pull a flaming sword from his chest to fight with. How is it possible that this film got even cooler? The fight: Hulk, as Hulks do, Hulks out in a public place and Iron Man calls in his Hulkbuster suit to try and take care of the situation. The result is exactly the kind of car throwing, building levelling carnage you’d expect from a super-powered one on one. Killer move: When Stark activates the Hulkbuster’s rapid fire pile driver arm and firmly buries the Hulk’s head into the road with a series of punches. The fight: After being exposed to red kryptonite, Superman develops hateful symptoms of lust, anger and self-loathing, until eventually he splits into two personas - a dark Superman and a moral, just Clark Kent - and they fight. Its like the filmmakers decided to play out a fanboy question that no one was asking. Killer move: Escaping the junk compactor, Clark emerges with a new fighting spirit and chokes Superman until he vanishes, allowing Clark to reveal the shiny S under his shirt. Yay good has prevailed! The fight: Bruce Lee faces his last great opponent, Han, in a showdown finale featuring trick mirrors and deadly traps. Because, when Bruce was at the top of his game, the best way his opponent could hope to defeat him was through cunning. Killer move: After much skulking around mirrored corridors, Lee finally catches Han out and delivers a final blow, high kicking him into his own spear.